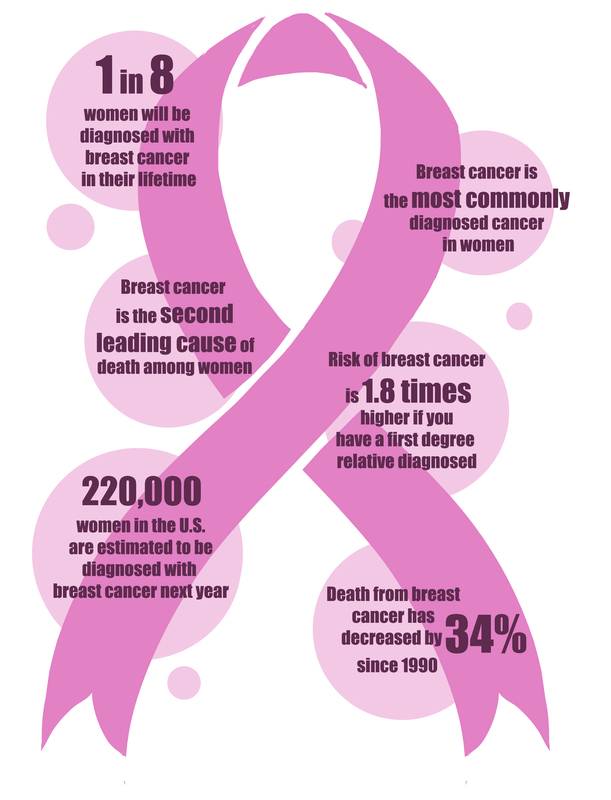 One in every eight women will be diagnosed with breast cancer and one in 36 women will die from it, estimated by The American Cancer Society. Interim Athletic Director and Head Volleyball Coach Merry Graf said her family has no history of the disease but her and her three sisters have discussed their chances of developing the illness. Her sister, Conny Beatty, said she “took one for the team,” Beatty was diagnosed with breast cancer in May 2012. Webster’s volleyball team held its annual Dig Pink game on Oct. 3, 2012. The Gorloks donated the money they raised from raffle tickets, concessions, and donations to the Side-Out Foundation. Graf walked into the stands between sets to deliver a bouquet of flowers to her sister. Beatty, unknowingly, was announced as a woman in a battle for her life. She hugged Graf, and the crowd gave a standing ovation to the woman battling a disease for which they donated money. “Last year it was kind of new still and so fresh in my mind,” Beatty said. She was a three-sport athlete and a Hall of Fame inductee in 2005 at Monmouth College (Ill.). She describes the disease as any catastrophic sports injury. Beatty’s cancer was discovered after her annual mammogram and while she was in the middle of rehab for her second knee replacement surgery. Beatty had a lumpectomy in June where a lump was removed from her breast, followed by seven weeks of radiation therapy, five days a week. Clamps sealed her nose and a breathing tube hung from her mouth as doctors treated her body with high-energy radiation. Because her cancer was on the left side, Beatty had to hold her breath for 15 to 25 seconds during each radiation treatment to keep her heart from interfering. Beatty said her claustrophobia made radiation the toughest part. Beatty said it was critical to have a support group to lean on throughout her treatment. She found support in her six siblings, whose parents both died in the past seven months, and also in Kris Kennedy, her workout partner, whose uncle died of cancer. Beatty, with two metal knees, walked the Susan G. Komen Race for the Cure a week after the lumpectomy in St. Louis. Four months later, she walked the Rock ‘n’ Roll half-marathon in St. Louis. She said she would have quit with out the motivation of her family and Kennedy forcing her to complete her daily training. Kennedy said she has a significant number of family members with different forms of cancer, but that her body is cancer free. Her level of respect for Beatty grew because of the battles she fought with her family members who had cancer. Kennedy’s uncle was given only a 10 percent chance to live but she said his attitude was always to be in that 10 percent. He was Kennedy’s first running coach and prepared her for her first marathon in Bermuda in 2004. He died the following year. Kennedy said coaching Beatty is a gift from her uncle she that is able to share. Beatty said the best part about the walks was the chance to keep her mind off cancer. Kennedy is a trainer at NextStep Fitness. Beatty said Kennedy created a daily workout schedule which pushed Beatty to stay active after radiation treatments. Kennedy ran the Rock ‘n’ Roll half-marathon and finished before Beatty, whose knees forced her to walk. Kennedy ran back through the course and met Beatty just past mile 10 of the 13.1-mile course. Kennedy said she cried more than anyone. Beatty said that throughout her training she had to keep from swinging her arms for momentum. Doctors told her the rubbing of her upper arms against the side of her chest would make her skin too raw for radiation treatment. Beatty said her annual mammogram was one of the best life decisions she has made and hopes her story will motivate all women to be tested. Beatty’s last radiation treatment was more than 18 months ago, but she has quarterly blood tests. Beatty prefers not to use the gang phrase that she ‘beat cancer’, but said she hopes she did beat it.